Used by over 3,000 legal practices across the UK, Riliance is a market-leading risk and compliance software system that gives firms one platform from which to manage their obligations under outcomes-focused regulation. 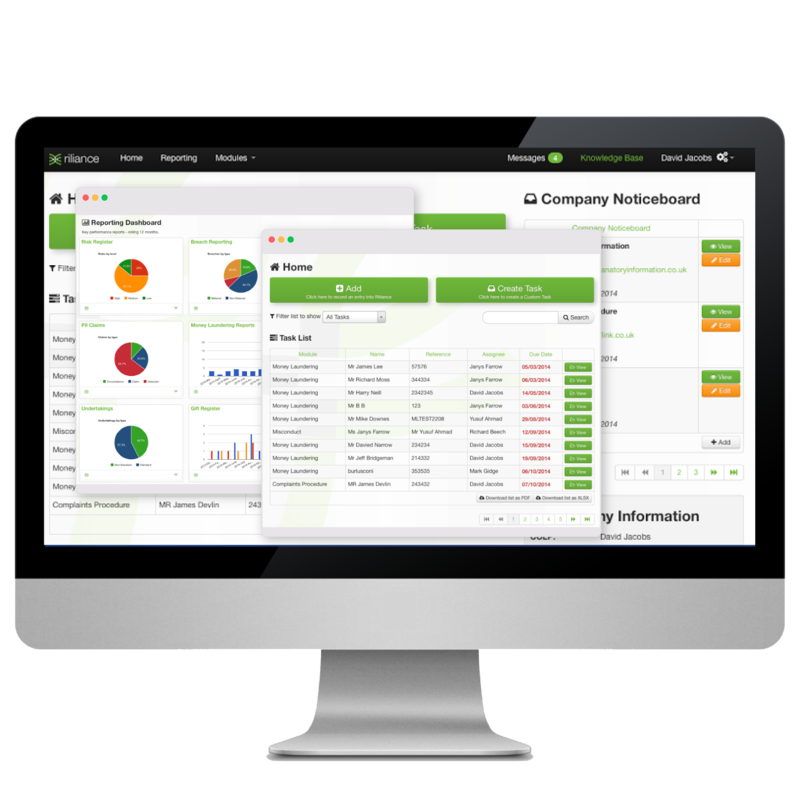 The Riliance compliance platform removes the need to build any manual reports as everything can be seen at the touch of a button, giving compliance professionals the reports they need to be confident in their approach to compliance. By using the Riliance compliance platform you can involve all staff in the process by deploying one central system that everybody can easily access to conduct audits, report incidents and much more; helping to build a culture of shared compliance.